You can’t seperate modern jazz from rock or from rhythm and blues – you can’t seperate it. Because that’s where it all started, and that’s where it all come from – that’s where I learned to keep rhythm – in church. A name doesn’t make the music. It’s just called that to differentiate it from other types of music. 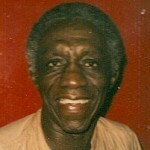 Art Blakey was born in Pittsburgh, Pennsylvania. He was an American Grammy Award-winning jazz drummer and bandleader. Along with Kenny Clarke and Max Roach, Blakey was one of the inventors of the modern bebop style of drumming. He is known as a powerful musician; his brand of bluesy, funky hard bop was and continues to be influential on mainstream jazz. For more than 30 years his band Art Blakey and the Jazz Messengers included young musicians who went on to become prominent names in jazz. Blakey's legacy is thus not only the music produced, but also for his bands' serving as proving ground for generations of jazz musicians—where observers suggest his impact is matched only by that of Miles Davis.